About two years ago when this blog was still getting 20 hits a day I brewed my second attempt at Pizza Port’s Mo’ Betta Bretta. The batch was split three ways with half bottled plain, one quarter aged with sour cherries and pinot noir, and the final quarter getting the same cherries and wine with the addition of a vanilla bean. Last night I enjoyed my last bottle of each of those beers (actually there may be one final bottle of the plain hiding somewhere). It was interesting to taste the three beers back to back to back, they differences were remarkable. As 100% Brett beers they do not have the same aging potential as mixed culture sours, but I have been impressed by how my first attempt at Mo’ Betta Bretta has aged, so I had high hopes for these as well. I wrote up some tasting notes and posted them last night, but when I checked back this morning they seemed to be gone from the site (I blame blogger, and not the fact that I was sampling three beers while posting…). What follows is a recreation of my thoughts to the best of my recollection. Appearance – Clear golden, with a puffy, stark white head. The considerable carbonation keeps the head inflated for several minutes before allowing it to fall to a thin ring. A bit of lacing sticks to the sides of the glass. Aroma – Candied fruit is the first thing that comes to mind. There is some sherry notes as well that do not meld well with such a pale beer. It almost smells like an old ale, but without the dark malt component it is very off-putting. Taste –The flavor has a bit of white wine character, but not in a good way, more like old wine that sat out too long. It needs a touch more sourness or bitterness, as the sweetness is just overpowering. I really liked the flavor when this beer was young, but clearly two years in the bottle is too much for this one. 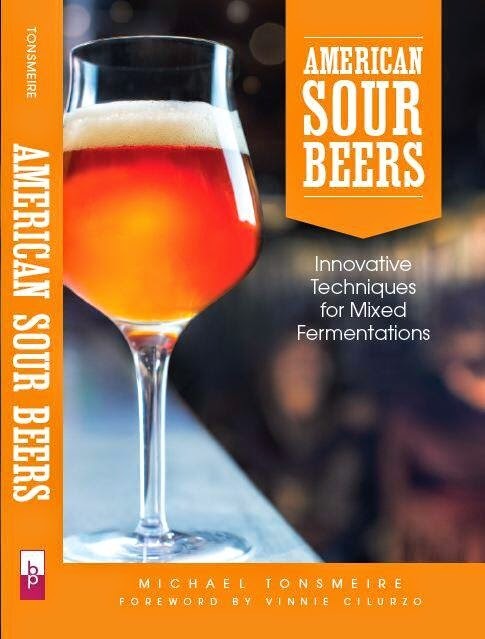 Mouthfeel – The beer does not have the lightness that it once had despite the strong carbonation. It has lost the acidic edge that really brought it together. Drinkability/Notes – Sad to say that I had to dump this one. The character just did not hold up over time despite being stashed at my parents’ house in pretty optimal conditions. Appearance – A beautiful “cherry” red body topped with a head that has just a touch on pink. 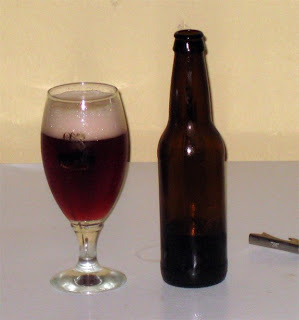 Aroma – Really bright cherry aroma up front, but there isn’t much behind it. Hopefully the cherries prevented the oxidation and aren’t just covering it up. Taste – The cherries again take the lead, still fresh and juicy. There is a little bit of earthy funk as well, but not much. The wine has continued to mellow, at this point I couldn’t call it more than a distant complexity. Mouthfeel – The acidity from the sour cherries really makes the beer. The strong carbonation really compliments the acid, giving it a lightness that is very refreshing. 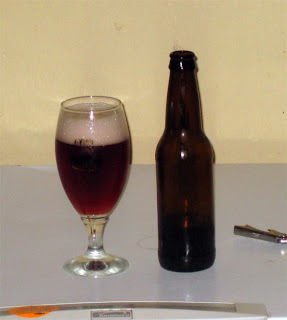 Drinkability/Notes - I know cherries are high in anti-oxidants, so that may have been enough to stave off the oxidation that has ravaged the plain beer in just over two years. This is a very nice lightly funky cherry beer, but it lacks a bit in the beer department, it may have done better with some more assertive malts. Appearance – Not surprisingly it looks exactly the same as its vanilla-less brother, although maybe the head has just a touch more pink. The head looked to of had more color in the picture from last year, but I’m not sure what would have caused the head color to change over time (might just be the photo). Aroma – The vanilla compliments and mellows the cherry and makes it seem a bit duller. The vanilla smells rich and sweet, it is a very nice character. Not much else going on in the aroma, even as it warms up a bit. Taste – The flavor has that great vanilla bean complexity with hints of cigar and fresh leather. This is the sort of character I have always wanted in a vanilla porter or stout but have never really gotten. The cherries are playing back-up, and the wine flavor is completely covered up. The vanilla also mutes that hint of funk and any lingering beer-ish character. 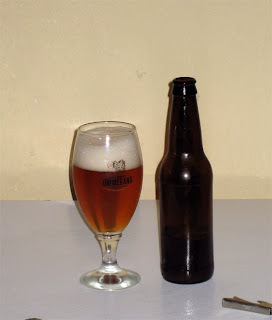 Mouthfeel – The vanilla gives the beer a slightly fuller/sweeter impression. The light tannic quality I noted a year ago has completely dissipated with age. Drinkability/Notes – The vanilla certainly adds complexity and helps to balance out the brash cherry character, but it comes at the expense of taking away any beer character. It is an interesting drink, but I think I prefer the plain cherry on a hot night like this. I'm hoping my Vanilla Wine Brett beer turns out as well as your final tasting one did. I think I'll bottle it here in 3-4 weeks with a modest 6-8oz red wine addition at bottling. How do you keep track of your bottles? Yep, I sharpie the caps with 3-4 digit alpha-numeric codes interpretable only by me. I did rather ornate labels for the first year or so (using sheets of sticky labels and a printer), but after awhile I got bored of it and stopped. You mentioned "back when this site got 20 hits a day.."
I'm curious, how many hits a day do you get now? The site itself gets ~250-300 visits a day, and the feed just crossed 500 subscribers.